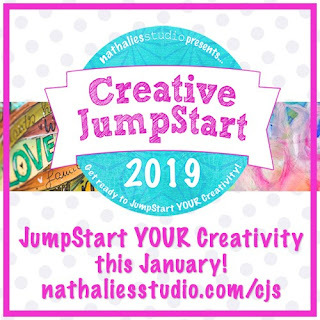 Paper Castles: Creative JumpStart 2019! 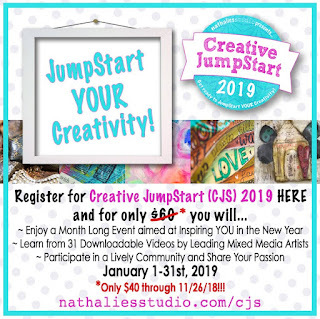 I was so excited when Nathalie asked me to teach on this course that I have been taking myself over the years along with 30 other amazing artists who are some of the most inspiring creatives in the industry! It's all about learning new techniques, discovering materials, and connecting with other artists and crafters. You get 31 videos - over 5 hours worth of video content - for just $40 (USD) if you sign up by November 26 2018 11:59 pm EST. Afterwards it will be $45 USD until November 30th 2018, and $50 USD until December 31st 2018, before it goes to its normal sale price of $60USD on January 1st 2019.